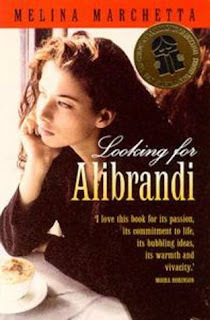 Printed Words: Learning To Find Yourself With "Looking For Alibrandi"
Learning To Find Yourself With "Looking For Alibrandi"
Josephine Alibrandi is seventeen, illegitimate, and in her final year at a wealthy Catholic school. This is the year her father comes back into her life, the year she falls in love, the year she discovers the secrets of her family's past and the year she sets herself free. "I'll run one day. Run from my life. To be free and think for myself. Not as an Australia and not as an Italian and not as an in between. I'll run to be emancipated." I was pleasantly surprised with how much I liked Looking For Alibrandi, more so because I thought it would be enjoyable but I actually found it to be very memorable and touching. Thoughts below!